Is your business adequately protected from today’s cyber threats? Discover Cyber Security as a Service - the most cost-effective way to get access to sophisticated security solutions that are completely managed for you. Scroll down to see our full list of security services that can help protect your business. Sign up with one of security experts to learn where you're most vulnerable. Cyber security becomes more complex, more expensive and more frustrating year after year. The threat landscape is changing too fast, data management and privacy compliance demands are onerous, and business risks are higher than ever. Even though we hear a lot about high profile data breaches at large, brand-name companies, the truth is small and mid-sized businesses are at greater risk. Why? Because they are easier to penetrate due to lack of planning and in-house expertise. Click here to learn more about the impact of cyber crime and how businesses can fight back. 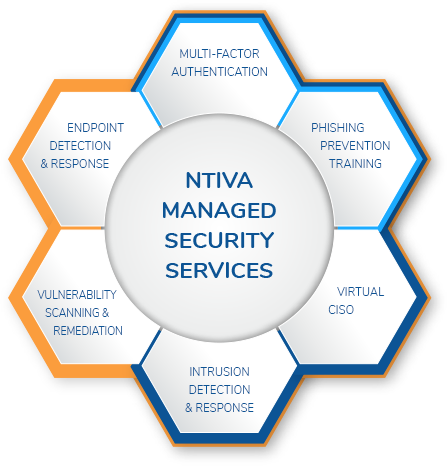 At Ntiva, we know our clients are getting squeezed by ever-increasing security requirements with little room in their budgets to accommodate new technologies, and so we’ve developed a set of security solutions designed to help their predicament. Passwords alone no longer offer adequate protection. Reduce password risk by verifying employees with managed MFA. Most security incidents start with a phishing email. Educate your users with managed anti-phishing training. 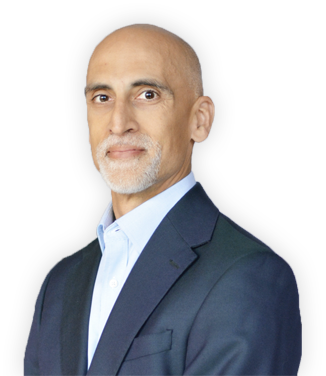 Leverage the skills of our seasoned security experts on an as-needed basis, for valuable strategy, guidance and oversight. Take advantage of our automated software combined with 24/7 security experts, to detect network attacks in real-time and stop them before they do damage. Let our experts scan your network on a regular basis to detect vulnerabilities, and close the loopholes before they’re exploited. Antivirus software is no longer enough. Take advantage of our powerful AI techniques and 24/7 security experts for complete endpoint protection. Why Choose Ntiva for Managed Cyber Security Services? Unlike most cyber security companies, we’re a top notch IT services provider who’s worked with small and mid-sized businesses for decades and understand your environment, risks and budgets. 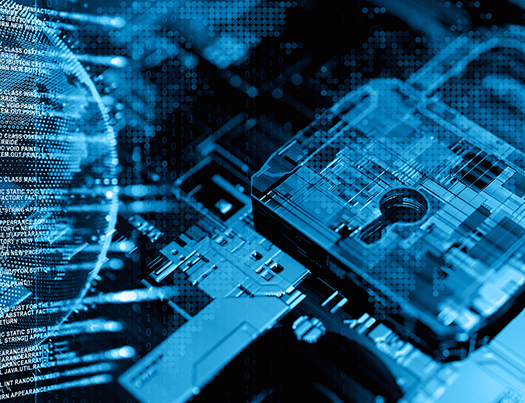 We offer a set of affordable solutions completely managed by us, delivering a comprehensive cyber security program that will safeguard your data, help meet compliance requirements and give you a significant advantage over your competition. Small organizations, fewer than 50 people and without large amounts of personally identifiable information or health information. Organizations with 100-200 employees or that have large amounts of personally identifiable information or health information. Organizations of 200+ employees, defense and federal contractors.